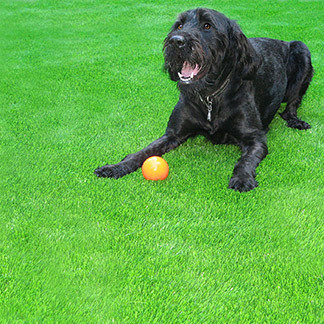 Own your own Langdon artificial grass lawn, and enjoy practically no yard maintenance, ever! Do you want a lawn that is not only effortless to maintain, but looks spectacular all the time? Precision greens artificial grass can give your property that natural and healthy look, with none of the back breaking work. 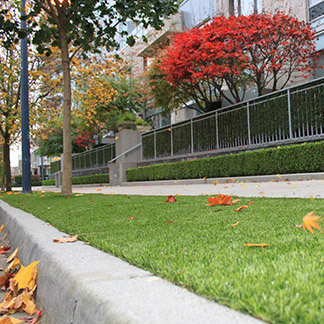 Imagine having a yard in its peak condition year round, requiring little to no maintenance. Saving you both time and energy, while giving you a yard worthy of being envied. With over 17 years of experience, we continue to lead the industry with innovative designs and top of the line products. 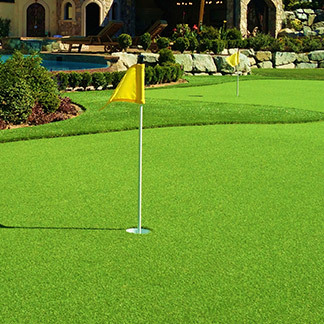 Installing more than 1100 golf greens and 3000 homes, we provide excellent customer satisfaction by giving every area a superior finish. Here is how we can give you the best yard in Langdon. 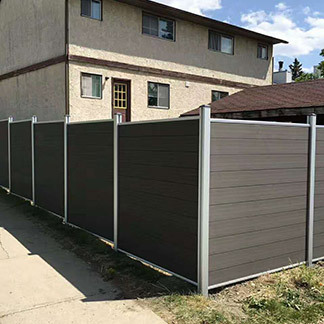 Variety: We offer a variety of selection from casual to extremely realistic, ensuring every property gets the intended look that it deserves. 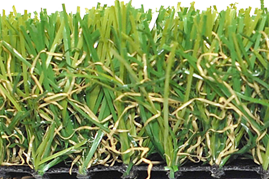 Realistic: Our new U shape and Wave Blade technology has created the ultimate life like version of artificial grass. 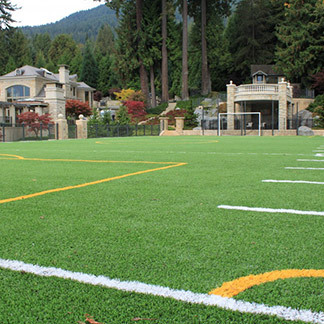 Every small detail was carefully designed to match the exact same look and feel of non-artificial grass blades. 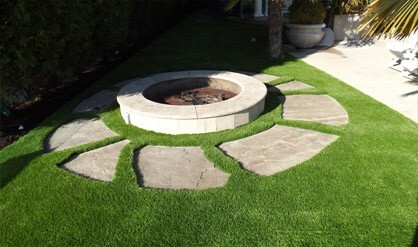 Design: The creative design makes our grass not only strong but incredibly durable. Strong enough to withstand the worst of Canadian weather and still maintain its luscious appeal. 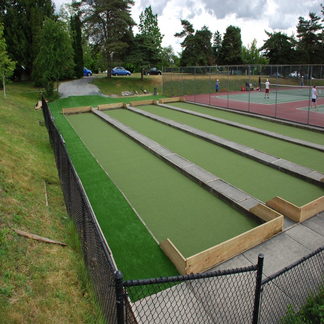 The structure allows for water to easily drain into the ground, while a UV protection keeps the grass a healthy shade of green and prevents browning. Safe: All of our materials are safe for you to enjoy. Children and pets will be able to enjoy the use of the yard too without concern. Not to mention both tested and proven safe for the environment, it’s manufactured with non-flammable materials, so you can bring out your barbecues without worrying about dry weather. 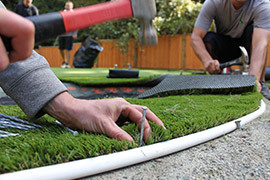 Comfort and Ease: The comfort and ease of owning an artificial grass is next to none. You get the best of both worlds, an immaculate looking yard and no labour intensive chores to do. Finally you can enjoy your yard more than you have to work on it. Easy maintenance: This is almost a maintenance free product, the only task ever really required would be a simple cleaning. Cleaning up any large objects, debris or even pet waste, is made remarkably easy thanks to the unique structure. Everything is placed high amongst the blades to allow for easy and quick removal, while anything else will wash away with a rinse from the hose, returning that flawless look. 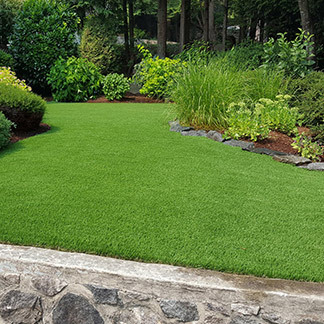 Reassurance: Every artificial grass comes with a 10 year product warranty and a 3 year workmanship warranty, allowing you to enjoy your new installation with peace of mind.